An e-commerce website has almost became a must for every business like a brick store For example. A brick store restricts you to a local area with limited reach. However, once you do have an e-commerce store there are endless possibilities since your store is active and online 24 hours a day for anyone in the world to visit and make a purchase. 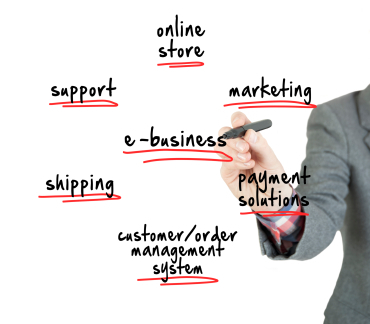 Although simply having an e-commerce website is not enough. It is also necessary to get actively involved in the effort to improve it. The first and foremost step of any e-commerce strategy is usually the e-commerce website analysis. The source of your website traffic, like country, state and even city. Where (which city or place) the revenue is being generated from. Which pages or products are viewed the most and hence which pages or products are of more interest to the visitors. Try to understand which is the top landing page and top exit page. How the visitors get to your website? Directly or via a search engine. Also detect which keywords have been used on a search engine to get to your website. Your website pages should have correct page titles. Special tools both online and offline are available to analyze the keywords on your website. Such tools used for keyword analysis can go a long way when making sure that your website is best set to respond to certain keywords. Besides your e-commerce website it is also a good idea to maintain a blog. This is mainly to help your content strategy which is a must these days. It is amazing how many people use the internet to obtain information, hence maintaining content rich blogs or even posting useful articles on popular article websites can boost your website in a big way. There are special tools available to test the loading speed of your website. The loading speed of your website is very important since the visitors these days do not have a lot of patience when it comes to slow loading websites. It is a good idea to have an e-commerce website with a good design, easy navigation and fast checkout to keep the visitor’s frustration at the minimum. Providing detailed product description goes a long way in helping the visitors turn customers. Including videos to showcase the product improves your changes even more. Every e-commerce website needs to be optimized for viewing on a mobile device. There are officially more mobile internet users and hence it is vital that your e-commerce website loads properly and fast for them. In store offers play a major role in boosting your website conversion ratio. Having offers like free shipping, daily specials can make a big difference in the longer run. For building an e-commerce website there are multiple options available from small to big enterprise websites. Two of the best hosted platforms are Shopify and BigCommerce. Shopify is generally used for small business purpose websites or blogs. As it has simple and easy to navigate user interface, it is more in demand. Whereas BigCommerce is also similar to Shopify, though it has a few limitations, it is easy to navigate just like Shopify. Other 2 self-hosted e-commerce platforms include Magento and WooCommerce. Magento is used for big e-commerce websites. Its user interface is really complicated. It needs a experienced person to develop a website in magento. If you have hands on experience in Magento, you can make your website look the way you want. One of the major advantages of Magento is that you can run multiple e-commerce stores in a single dashboard. Woocommerce is actually not a platform but it is a WordPress plug-in. So if you want to make your e-commerce website in Woocomerce you have to be totally dependent upon WordPress. One of the major advantage using Woocoimmerce is similar to that of WordPress as you get limitless functionalities regarding the themes and plug-ins. Alakmalak is an e-commerce development company in India that has successfully completed more than 2000 projects. They offer e-commerce web design in India and have the necessary resources too. They have a good team of software developers with state of the art facilities and the infrastructure to support it as well.With a good track record, their client retention rate speaks for itself. PHP7 is the next version with many changes – How does it affect your Business Website Development?